"She reached for the blue velvet box. 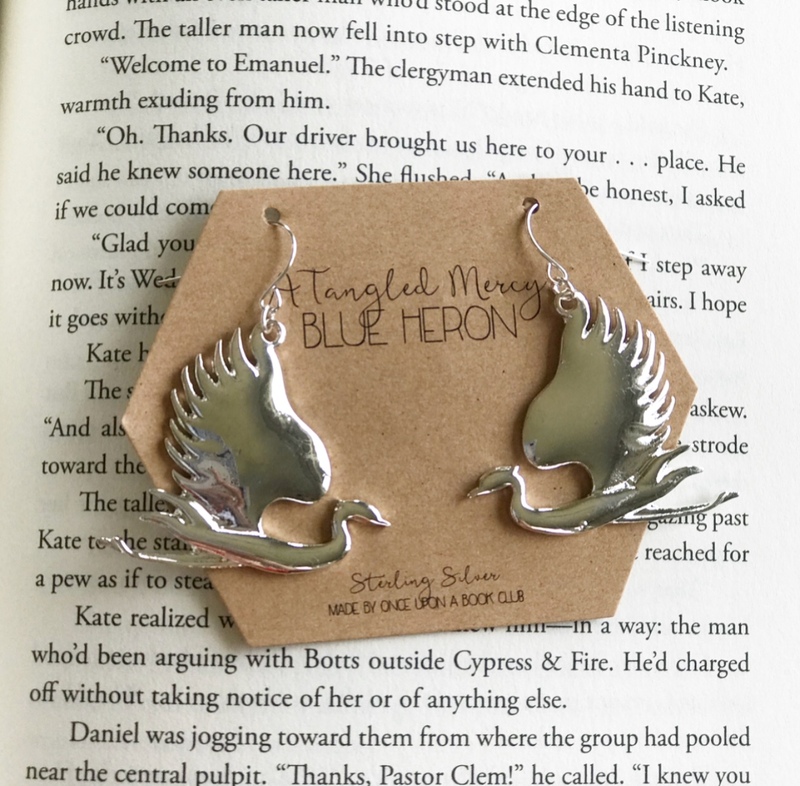 But as she opened it, two silver earrings tumbled onto the bedspread...herons, she realized, with their long slender necks and beaks, heads raised against the wind and lifting their wings, just ready to soar." 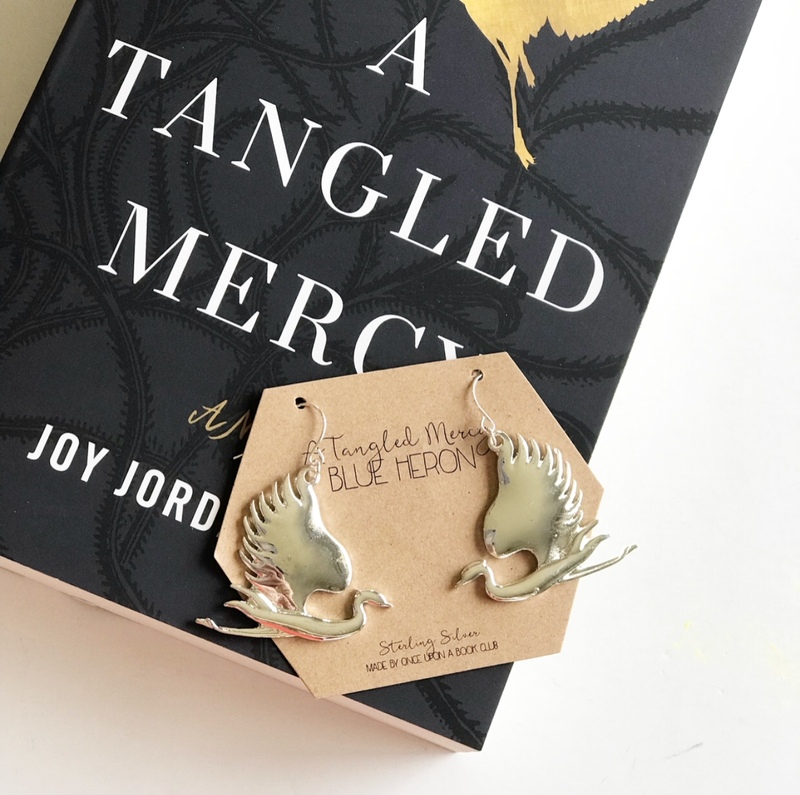 From our November 2017 box, enjoy these beautiful, sterling silver heron earrings to represent the cover of "A Tangled Mercy" by Joy Jordan-Lake!